As a wood flooring contractor you know it is important to keep the dust out of the customer’s home or office and how crucial it is to have a dust free floor before applying finish. When it comes to controlling dust the classic solution of tarps and plastic sheeting only protect what they cover. Using a vacuum to collect the dust at its source is a much more practical solution. Vacuums have typically had a few problems that have made them less appealing in the past. Cheif among these is that the fine dust from sanding will quickly clog the filter forcing you to shake it clean. This costs time that could be spent finishing the job, so you can move on to the next one. This lost time adds up in the long run and affects your bottom line. Pulse-Bac offers a better solution. 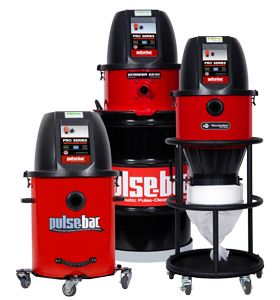 Pulse-Bac is the Original and Patented Self-Cleaning Vacuum. 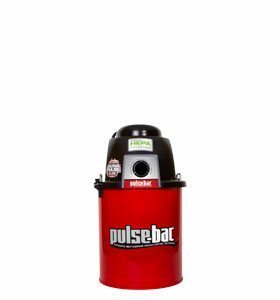 It’s patented Automatic Pulse-Clean Technology cleans the filter while you work using only simple physics, no compressor or pre-separator needed. 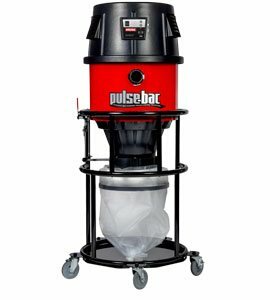 When using a vacuum to capture dust from tools like Drum Sanders, Buffers, Edgers, and Random Orbit Sanders Pulse-Bac delivers unmatched performance. Plus, Pulse-Bac HEPA Certified dust vacuums are compliant with OSHA and EPA regulations for the removal of Lead Paint, Asbestos, and Wood. So Pulse-Bac has your back no matter what the job is.